My early training in psychology focused on Health Psychology and Neuropsychology. While practicing in a rehabilitation hospital, I had the very good fortune of being asked to work with some patients in the Chronic Pain program and was also introduced to biofeedback and psychophysiology. I immediately felt an affinity for the work, and with great excitement and enthusiasm, began the process of respecialization. With my additional training in chronic pain management, biofeedback, psychophysiology, microcurrent electrical therapy, cranial electrotherapy stimulation, audio-visual entrainment, bio-acoustical therapy, nutrition, and mindfulness techniques, I am now able to choose from, or blend together, a wide variety of treatment options specifically tailored to your unique personal circumstances. My primary areas of focus are applied psychophysiology, biofeedback, self-directed neuroplasticity, and health psychology. 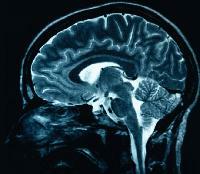 My work continues to be informed by my background and continued interest in clinical neuropsychology. Although these fields are all inter-related, they also have their own distinctive contributions to make. For most people, my experience has taught me that a combination of these approaches, tailored specifically to the individual's interests and needs, will be most effective in helping them back on their path to health and well-being. I realize that the terminology used to describe some of my training and expertise may be foreign to some people. 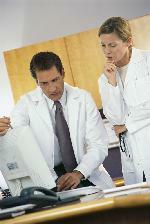 Below you will find what I hope are clear and brief descriptions of each field of specialty. Health Psychology and Behavioral Health Assessments address the behavioral and psychological aspects of health. Health Psychologists integrate biomedical information about health and illness with psychological and behavioral knowledge. Health Psychologists treat people with many medical conditions including, anxiety, chest pain, chronic pain, depression, fibromyalgia, headaches, irritable bowel syndrome, and sleep disorders among others. Health psychology includes education about nutrition, sleep, movement, and technology devices available to help reduce inflammation, decrease problematic symptoms, and improve quality of life, as well as coaching for improved habit building. Behavioral Health Assessments help to identify behavioral factors that serve as risk factors for, and buffers against, health problems as well as clarify individual learning and preferred coping styles. These assessments may include paper-and-pencil measures, tasks completed on a computer, and information shared during an interview. Assessments are research-based and adapted to the real-life situations of real people. These assessments help the psychologist and the patient develop treatment plans with the best possible fit and greatest likelihood of success. Biofeedback and Applied Psychophysiology combine human physiological functioning with advanced technology to improve health, well-being, and quality of life. 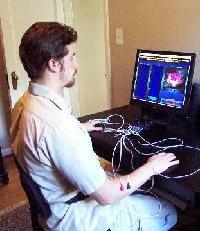 Biofeedback involves the use of instruments or computers that can measure very small changes in physical functioning and feed that information back through visual or audio signals that we can detect and understand. Biofeedback training begins when these biological signals are used in combination with training techniques to teach people to improve their health and performance. Through biofeedback training, people can learn to control body functions that are not normally under voluntary control. Biological functions that are commonly measured and can be trained in this way include muscle tension, heart rate, blood pressure, respiration, skin temperature, peripheral blood flow, brain wave activitiy, and sweat gland activity. We now know that we can have much more control over many physical functions than we once thought possible and we can actually bring about lasting changes in our physiological structures and functioning. There are two basic types of brain wave biofeedback (neurofeedback), traditional neurofeedback which is an active learning process and passive neurofeedback in which the brain learns directly, below the level of conscious experience. I am particularly impressed with results being achieved with High Performance Neurofeedback (also sometimes called Neuro-Gen), one of the passive forms of neurofeedback. Psychophysiology involves the study of how we experience various physical states and the physiological changes that occur with different physical states, thoughts, and emotions. Applied psychophysiology is the practical application of this discipline with real people in real-life situations to improve health, comfort, quality of life, or performance. Applied psychophysiology can help people with conditions including anxiety, asthma, chronic pain, depression, irritable bowel syndrome and abdominal pain, migraine headaches, non-cardiac chest pain, phantom limb pain, Raynaud's Phenomenon, and tension headaches, amoung others. Examples of psychophysiological training and interventions include autogenic training, biofeedback, diaphragmatic breathing, education about physiology and health, meditation, mindfulness techniques, and progressive muscle relaxation. These techniques are combined with interventions from health psychology including behavioral and cognitive-behavioral therapies and interventions, self-hypnosis, existential, humanistic, and psychodynamic therapies, and stress management to create a customized treatment plan for each individual. Existential-Integrative (EI) Psychotherapy is a comprehensive therapy model that integrates intervention modes (physiological, medical, environmental, behavioral, cognitive, psychosexual, interpersonal, and experiential) and has the overall aim of increasing freedom and choice within an individual's life. The EI therapist works to promote healing, vitality and health through assisting individuals in their efforts to confront or integrate the tensions between the parts of their experience that are free, open, willful, and creative and those that are limited by environmental, physical, and social constraints. EI psychotherapy is based on extensive research using qualitative methods of investigating human experience and includes the use of psychotherapeutic interventions appropriate to what the individual is experiencing. These interventions may include behavioral, cognitive-behavioral, mindfulness-based, interpersonal, self-directed neuroplasticity, or psychodynamic therapies as appropriate to the individual's situation and interests. Clinical Neuropsychology works with the relationship between brain and central nervous system functioning and behavior and applies this knowledge to human problems. Clinical Neuropsychologists utilize principles of assessment and intervention based on scientific study of human behavior related to the functioning of the central nervous system. Neuropsychologists help people with cerebrovascular accidents, depression, dementia, dementing illnesses, head trauma, infectious and inflammatory diseases, tumors and other conditions affecting central nervous system functioning. They provide services including assessment, cognitive remediation and intervention, education and counseling, and behavioral or psychological therapies with people managing neurological conditions. Neuropsychological screening can help identify areas for intervention or indicated if a referral for further neuropsychological testing is indicated. I have a Ph.D. in Clinical Psychology from the California School of Professional Psychology at Alliant International University. My training and employment experiences include work in chronic pain management, biofeedback and applied psychophysiology, clinical neuropsychology, individual, couples, family and group psychotherapy, psychological and behavioral health assessment, drug and alcohol treatment, rehabilitation services, community counseling, treatment of severe mental illnesses, health education, and hospital program design. 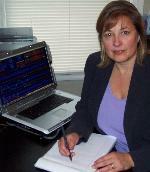 I am a licensed psychologist in the states of Oregon, Washington, and California and am certified in General Biofeedback by the Biofeedback Certification Institute of America (www.bcia.com). I am a registrant with the National Register of Health Service Providers (www.nationalregister.com). The Oregon Psychological Association (OPA) (www.opa.org).